I’m typing this sitting on a flight to Perth, a five-hour long haul to Western Australia, as we leave the East Coast of Australia. It’s starting to sink in that it’s over, we’ve finished our once in a lifetime trip and I have the overwhelming urge to turn around and start it all over again. 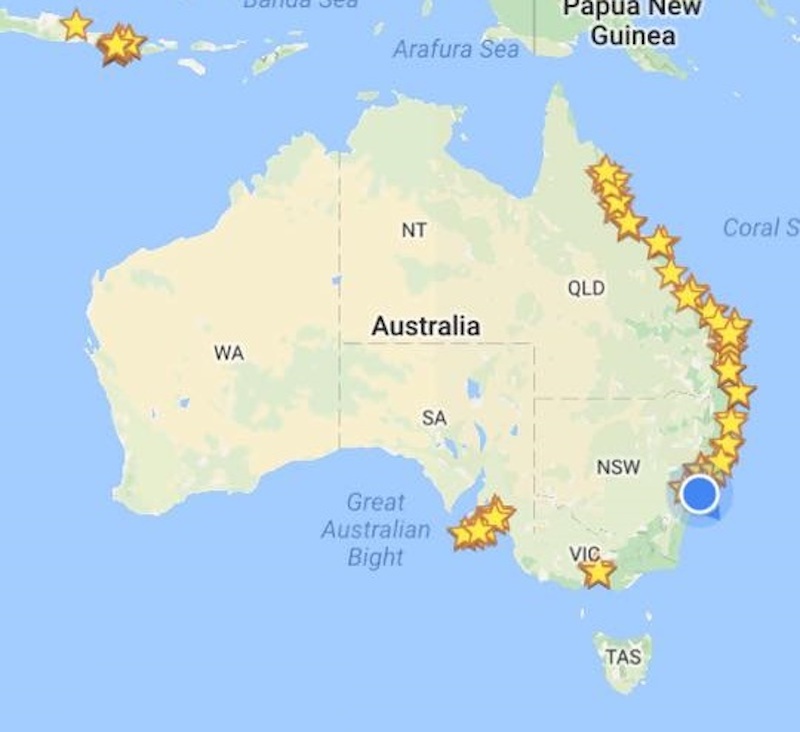 We have just completed our many months’ trip along the beautiful sun-drenched (most of the time) East Coast of Australia. 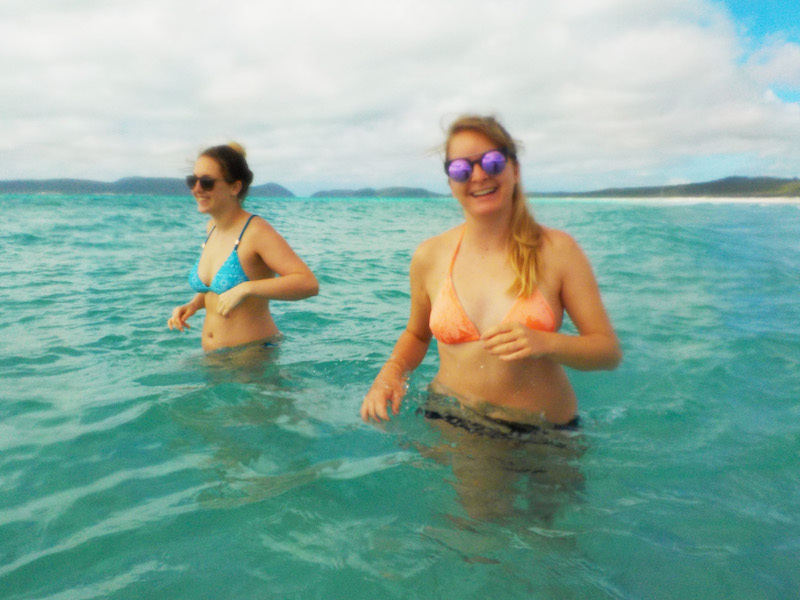 We did it all, from Sydney to Cape Tribulation, chasing the sun up the coast, loving all the koala spotting, kangaroo chasing and beach hopping adventures. Whenever anyone asks what our favourite part was, it is incredibly difficult to pick. We struggle to narrow it down to a top 30, but just for our lovely readers we have whittled it down to a top 10. 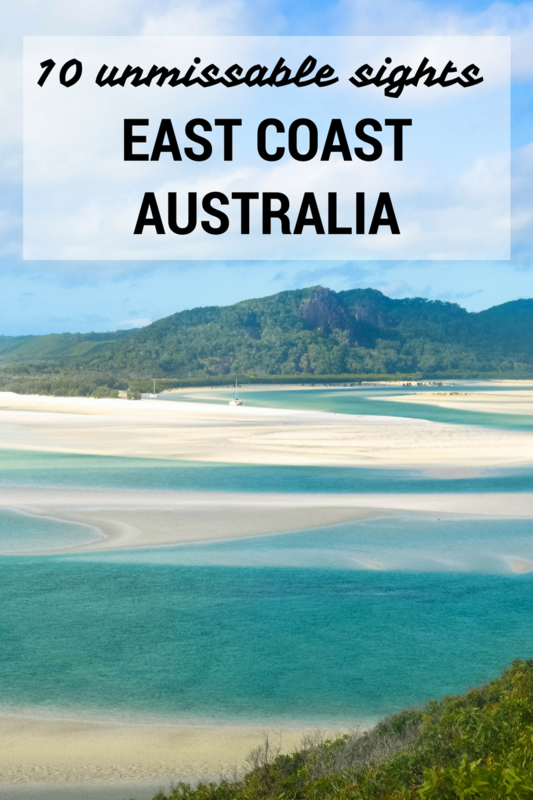 Here are 10 of our highlights from the East coast of Australia and 10 reasons we think you’ll want to drop everything and head here yourselves. 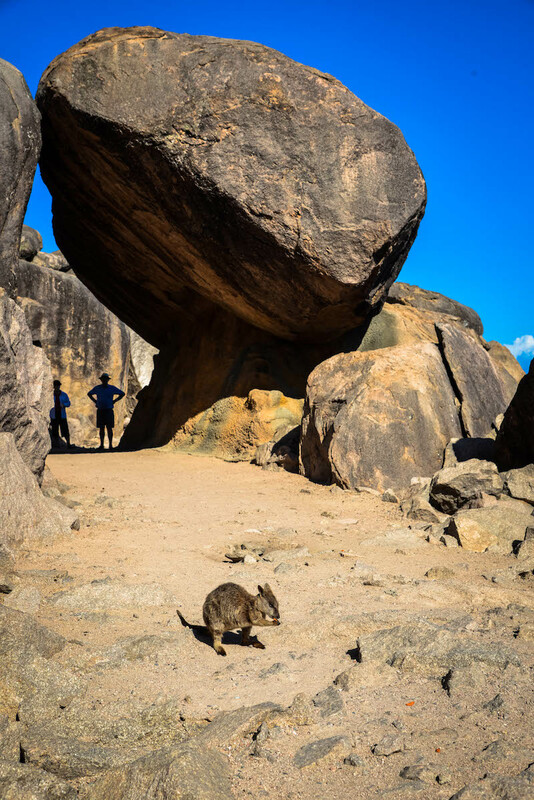 Warning: If you have ever contemplated visiting Australia, it will shoot straight to the top of your list if you keep reading. Our home for many months, we had to include this one. A spectacular city on water with a bit of everything, and this city marked the beginning of our adventure. 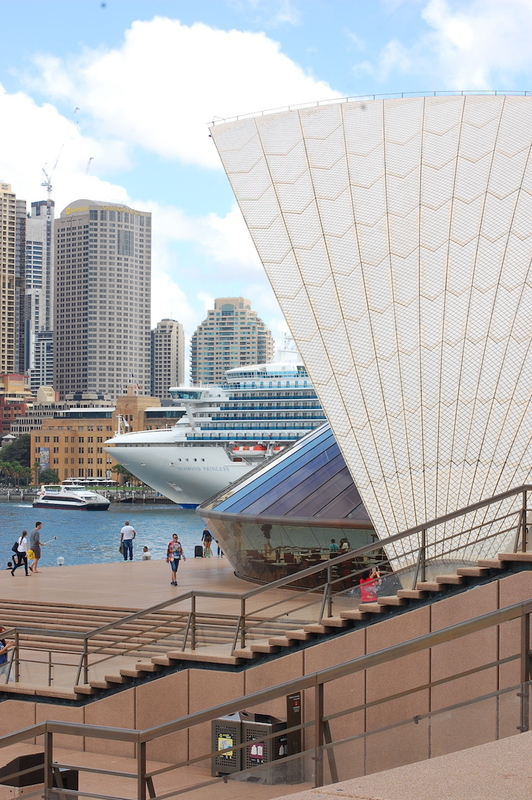 Home to the iconic Sydney Opera house, Sydney Harbour bridge, Bondi Beach and Manly. 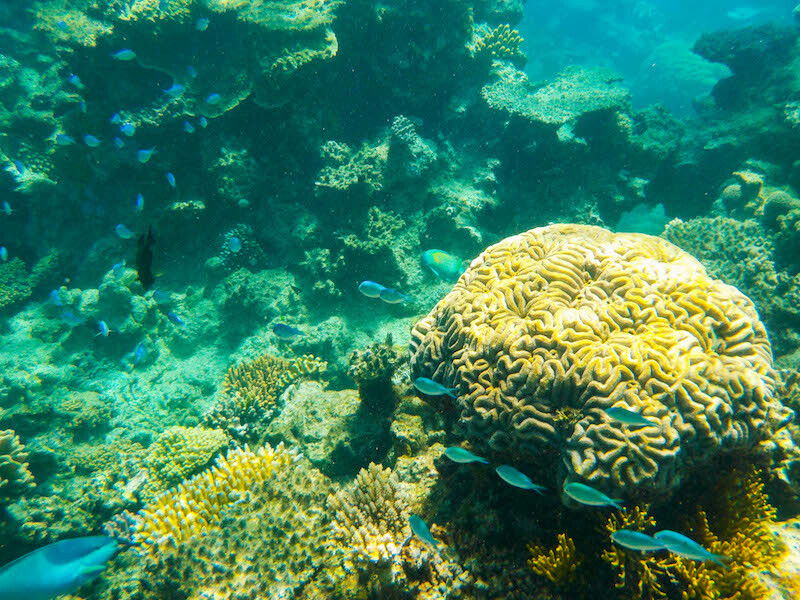 This is an extensive city with many beautiful nuggets to explore, check out our post dedicated to Sydney for more enticing insights. 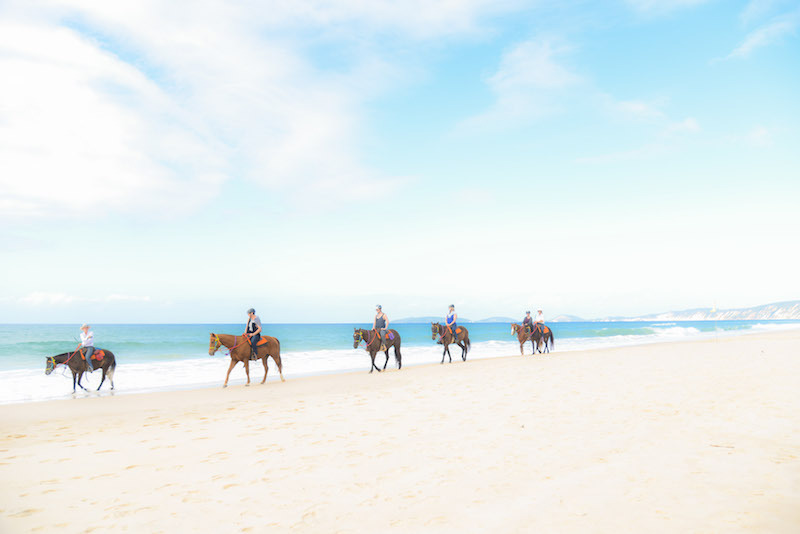 With 26 golden beaches and a vast blue bay, Port Stephens is an idyllic beach getaway. 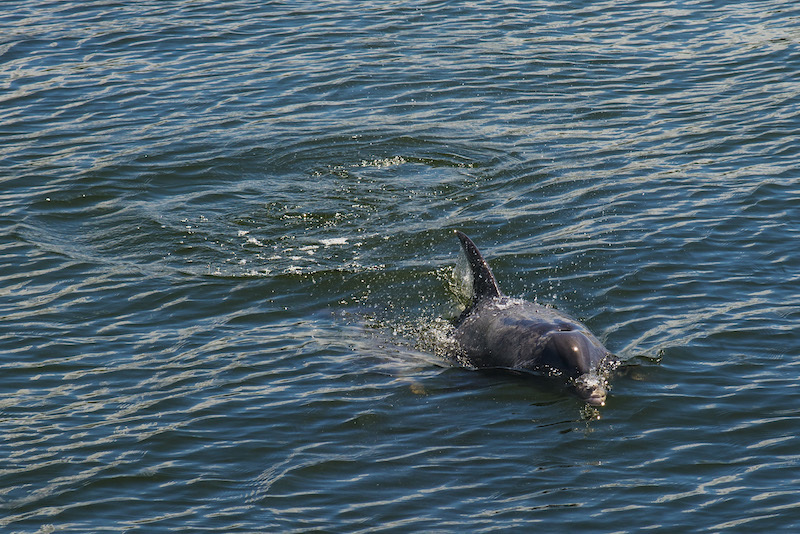 The beautiful Nelsons Bay, Salamander Bay and surrounding areas are also home to pods of incredibly cute and playful dolphins. 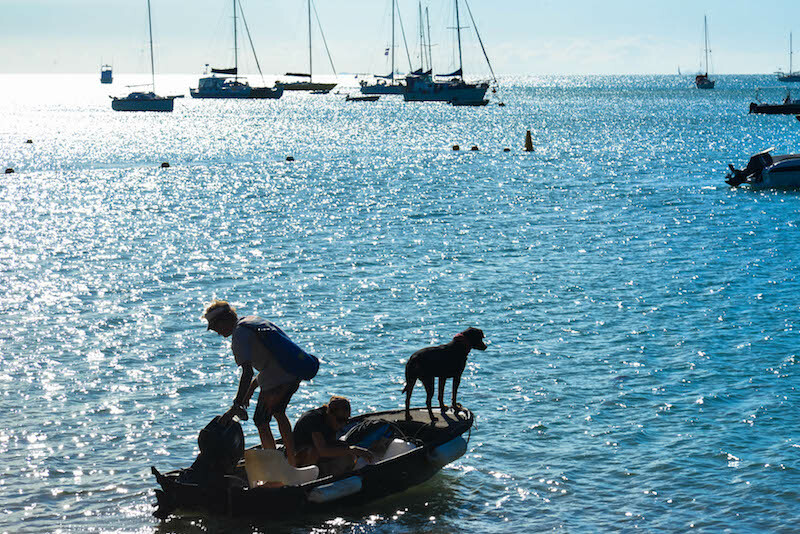 From the main bays you can take a boat out into the serene water and enjoy a morning with these inquisitive animals and dip into the boats’ nets to get up close to them! 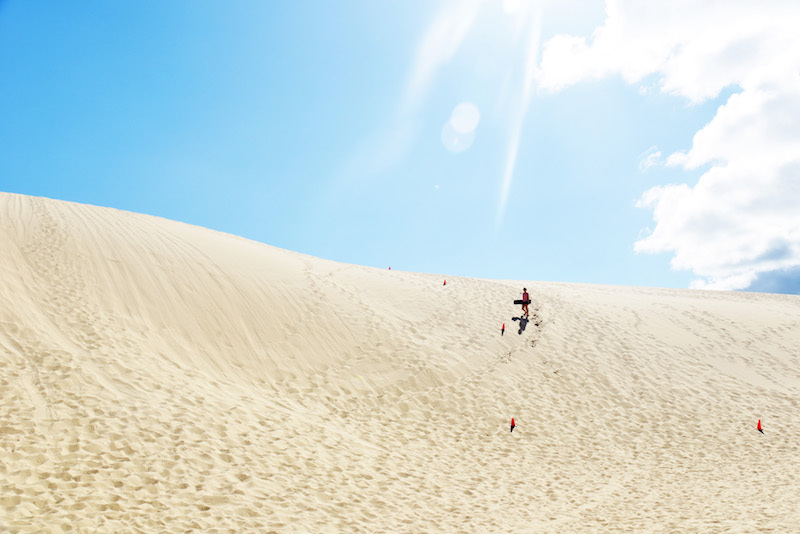 Make it an action packed day like us and you can go sandboarding down huge steep dunes whilst soaking up the sun. 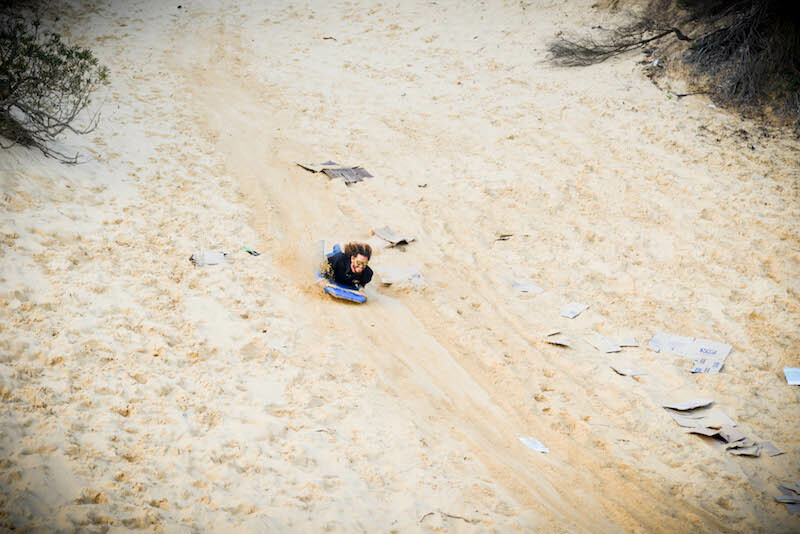 It’s surprisingly hard work but totally worth it for the views and fun. 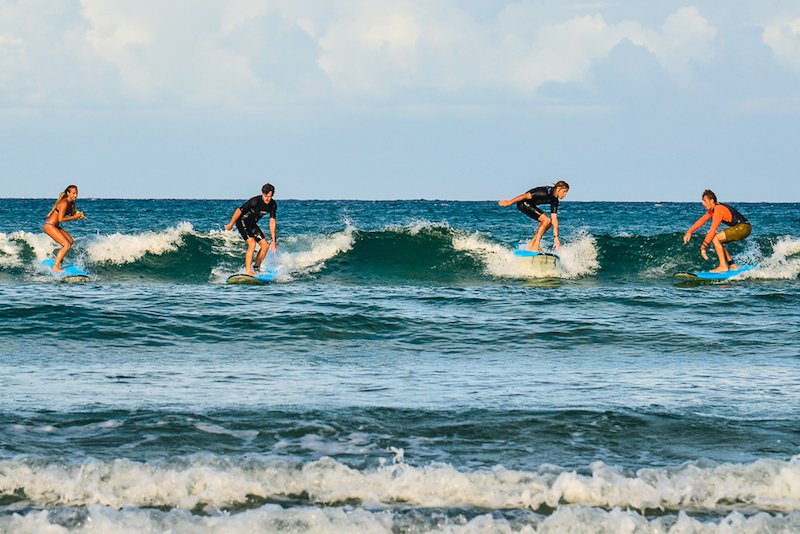 Aussies are made for the water so it’s no surprise surfing is second nature to them. 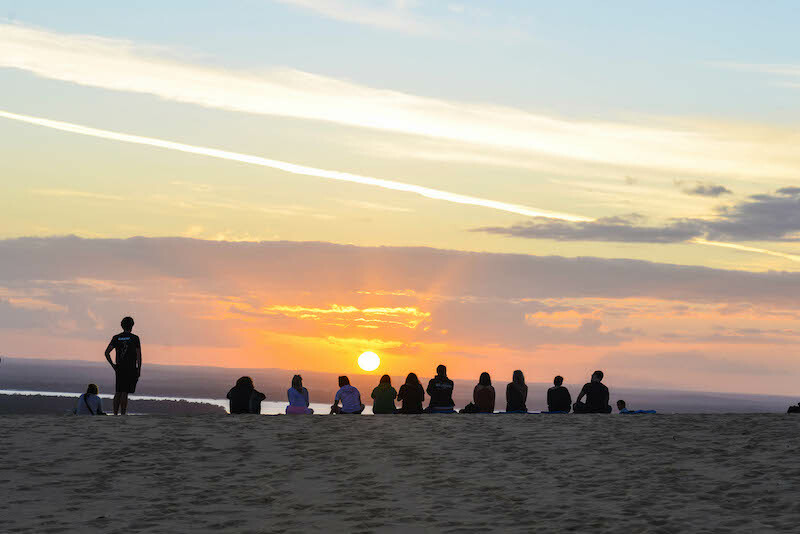 For those like us from the other side of the pond (and perhaps a little unprepared) there is surf camp, like boot camp but for surfing, except it’s heaps of fun. 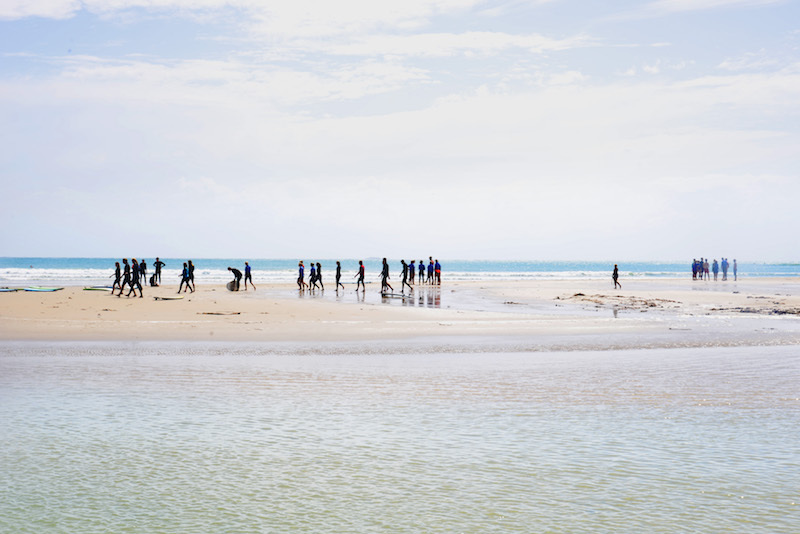 You spend the days surfing the waves, then the evenings are spent socialising on the camp round the fire, all whilst living right next to the beach. 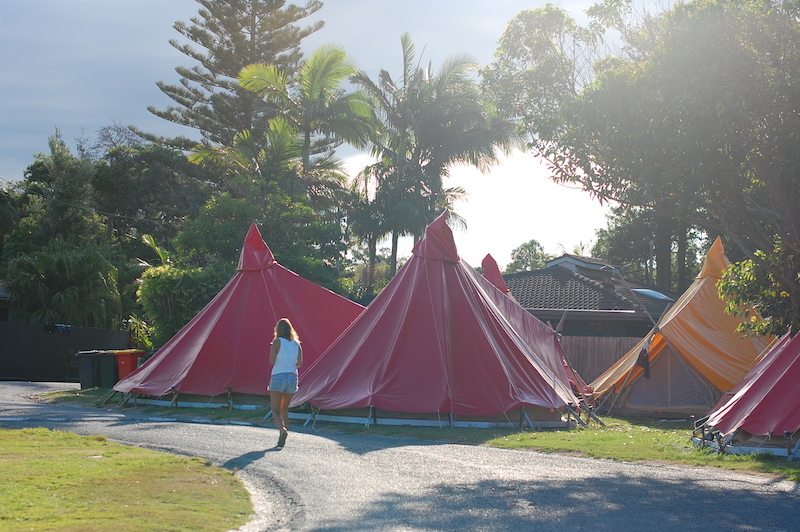 We selected Mojo Surf, a company with a number of surf spots around the world, our camp was Spot X beach just a hop and skip away from Coffs Harbour. 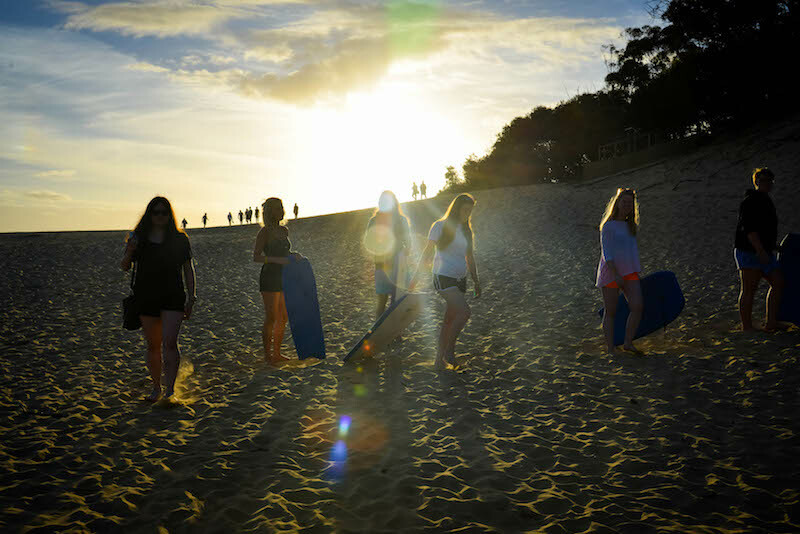 We absolutely recommend to kick-start the perfect Aussie experience and set yourself up for the rest of your time in Australia being a surfing pro. 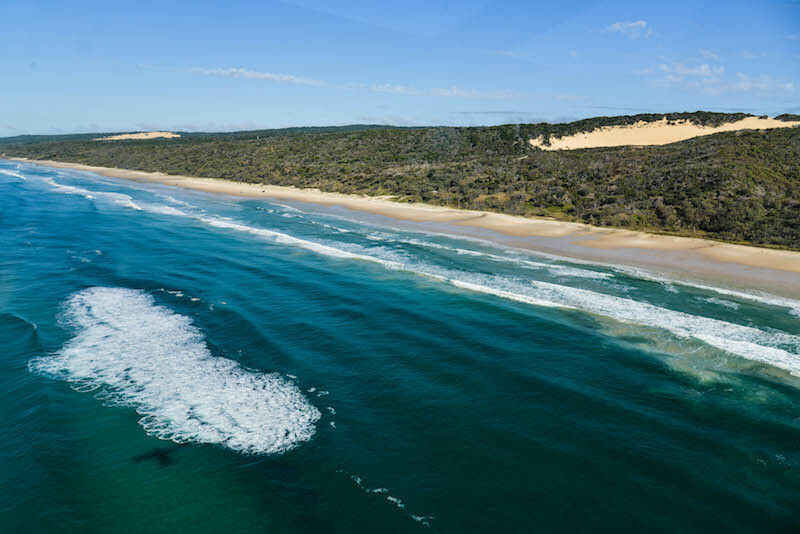 The gateway to one of the best beaches on the east coast and named after the rainbow coloured sand dunes – Rainbow Beach. 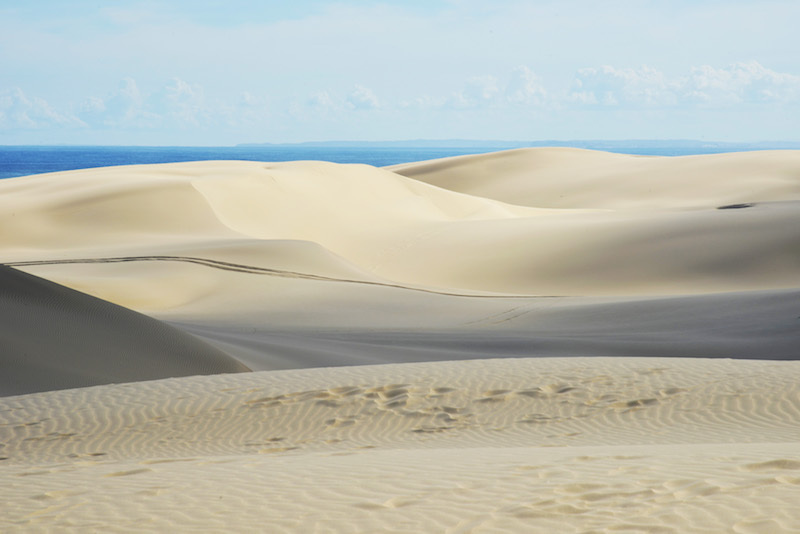 This isn’t an obvious place to stop and isn’t somewhere you should plan to stay for too long, but when you delve deep you find this beach town has an extraordinary amount to offer from beautiful sunsets, to sea kayaking, spotting turtles and dolphins, to whizzing down sand-dunes on nothing but a cardboard slab. 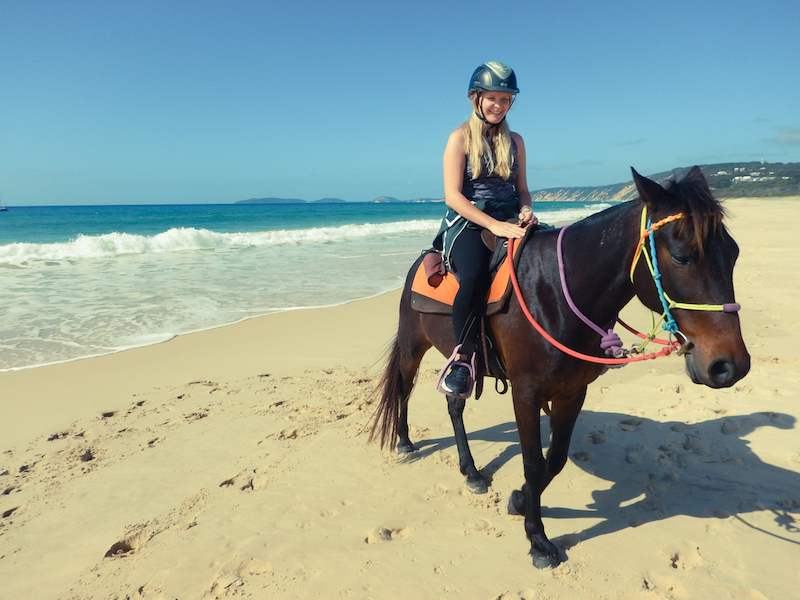 A favourite at this colourful spot was the Rainbow Beach Horse Riding, a slightly pricier option but worth it. 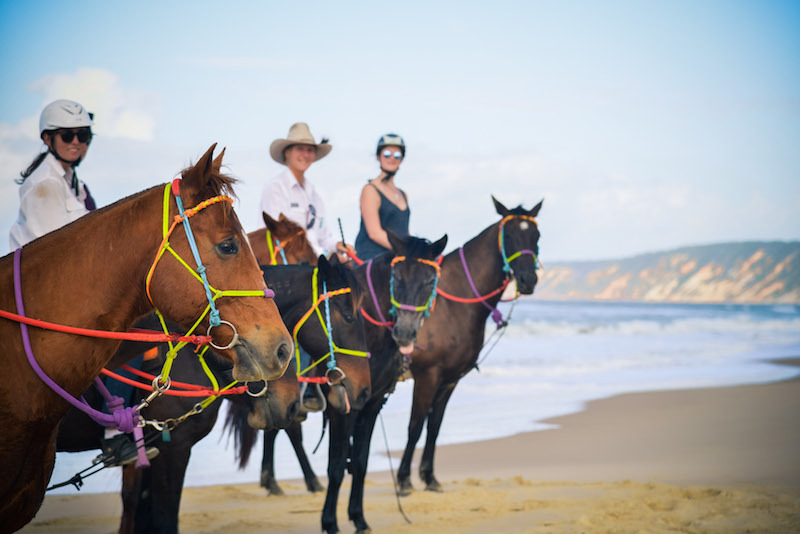 You ride down the beach on beautiful horses soaking up the beach scenery, we found this place to be a secret haven for laid back enchanting travel. 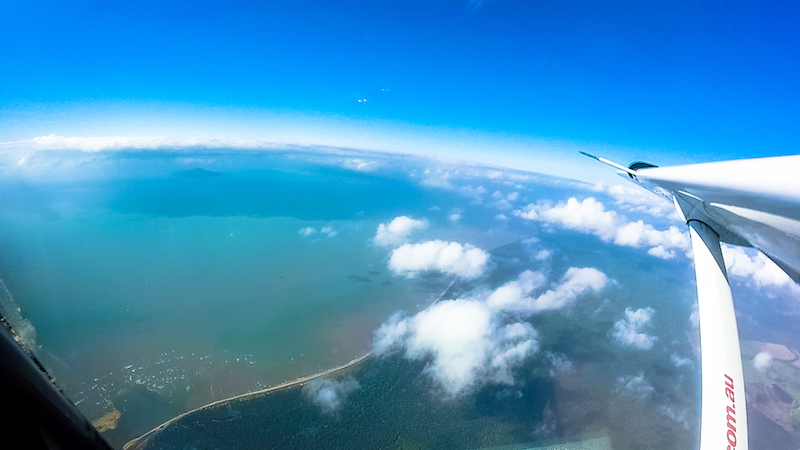 The biggest island in Queensland, and the biggest sand island in the world. 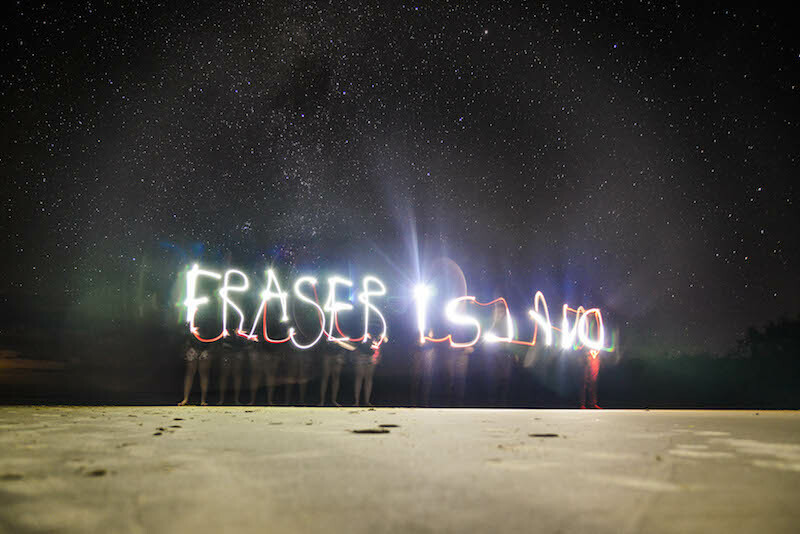 Fraser Island is home to panoramic views, wild dingo’s, whale watching, manta rays, natural creeks that act as water rapids, ribbons of white sand and the wonderland that is Lake McKenzie (Boorangoora in Aboriginal). 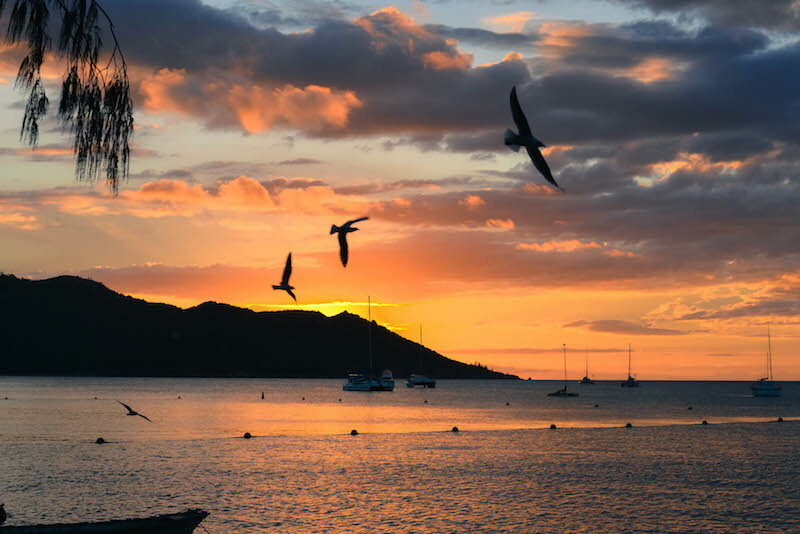 You can take a day trip or, like us, take a three-day tour trip around the island. 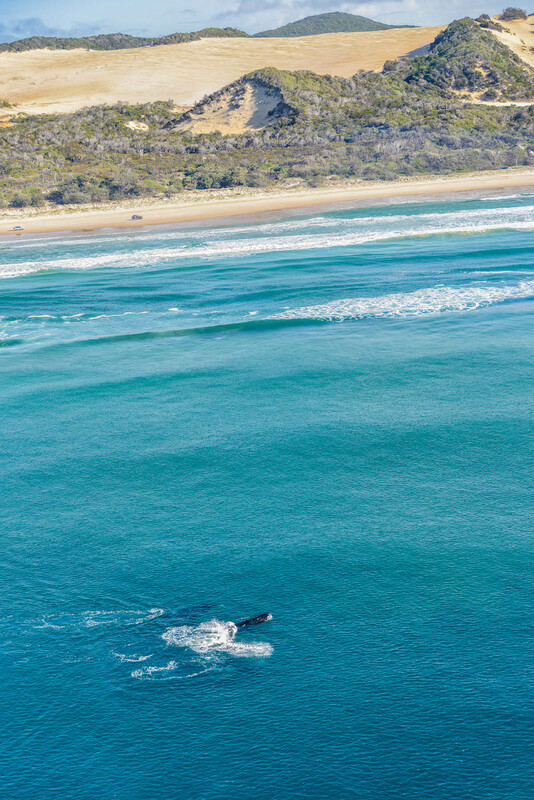 You thunder along the beach in a tag along of 4×4 Land Rovers, each taking it in turns to drive through the thick sand and exploring what this island has to offer, including the famous Maheno shipwreck. 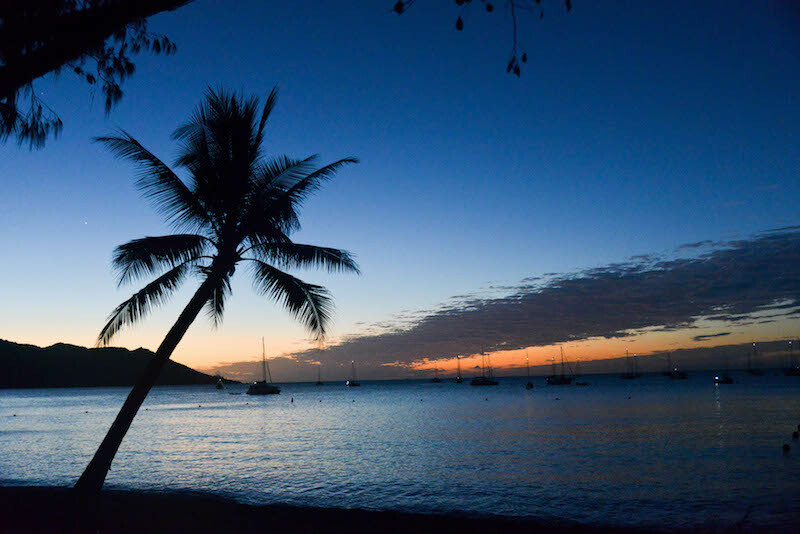 In summer months you camp on the beach, in the winter you have beachside bedrooms on offer. Don’t miss the outstanding star gazing available due to the lack of light pollution. They’re the best we’ve ever seen! 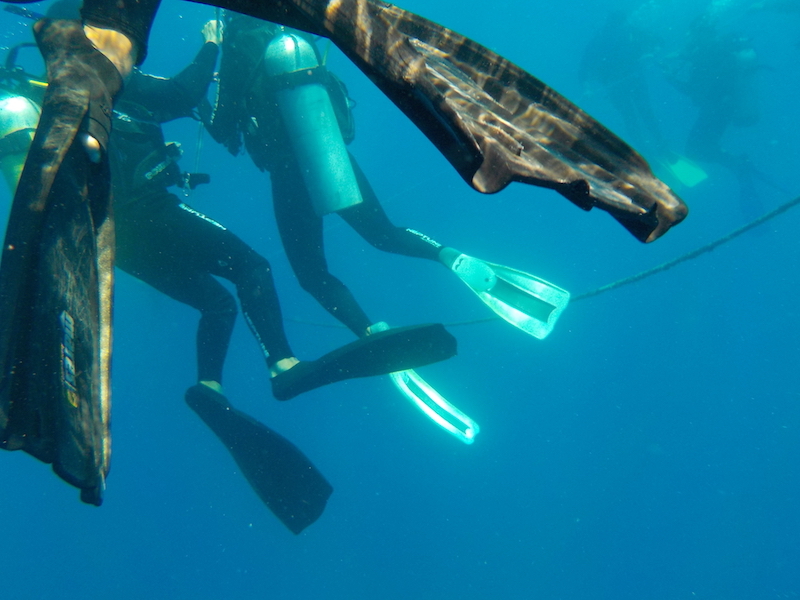 Rated one of the top scuba dives in the world, the Yongala Wreck lives up to this rating. 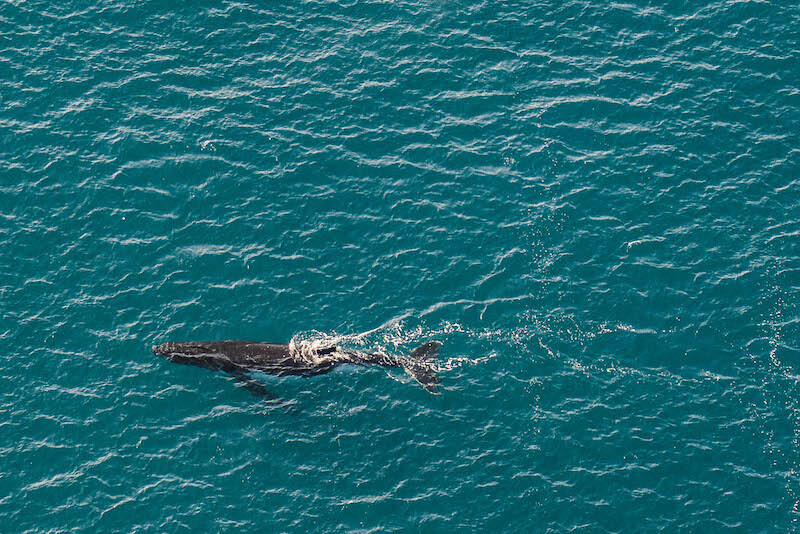 ‘Wow’ is the only word I can think to describe this amazing experience. 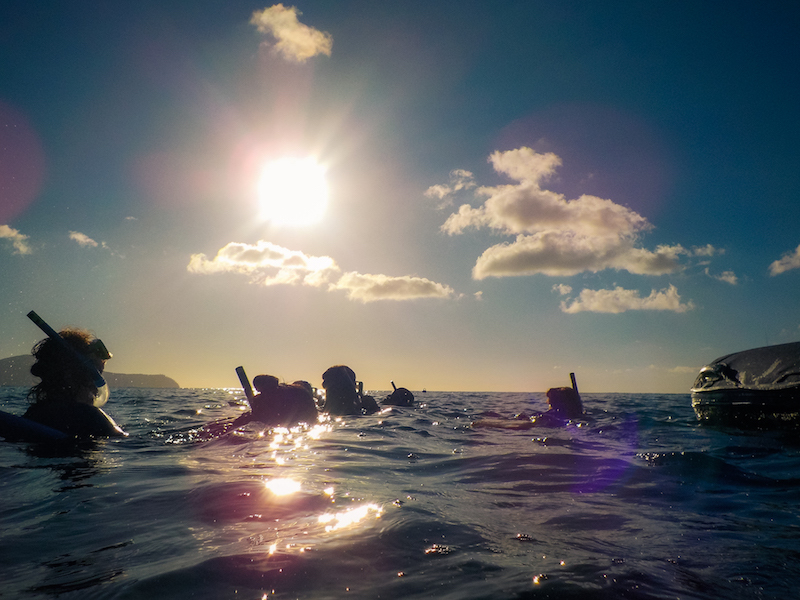 I am a qualified scuba diver so I was lucky enough to be able to take this trip, sadly those who are unqualified are unable to participate due to the complexity; the currents are strong and the wreck is deep, around 14m deep to the very top of the wreck so it’s not visible to swimmers. 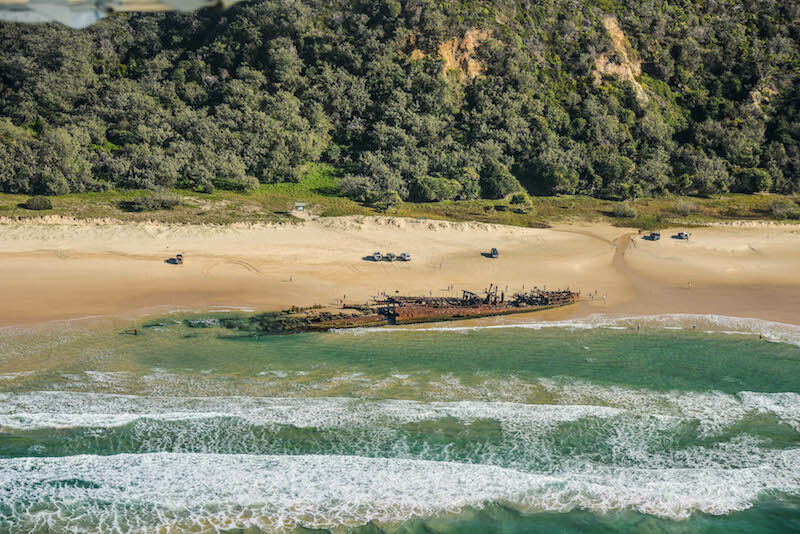 This sunken ship has been sitting at the bottom of the ocean since 1911. 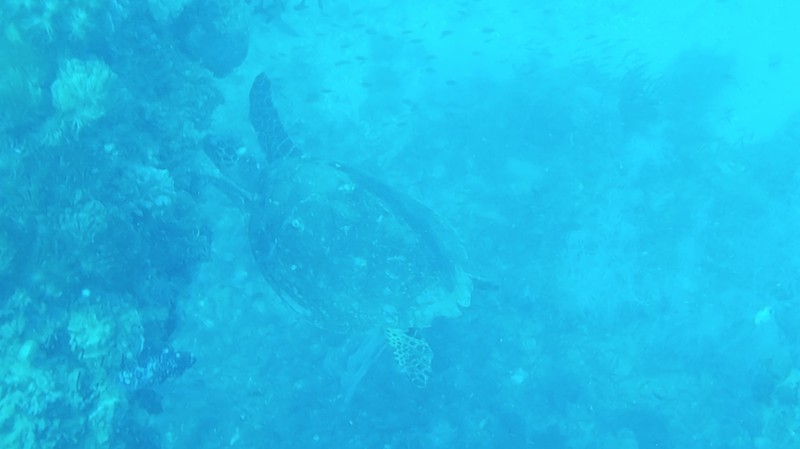 The ship is now covered in beautiful, vibrant coral and an array of spectacular sea life – a turtle swam into me. Enough said. 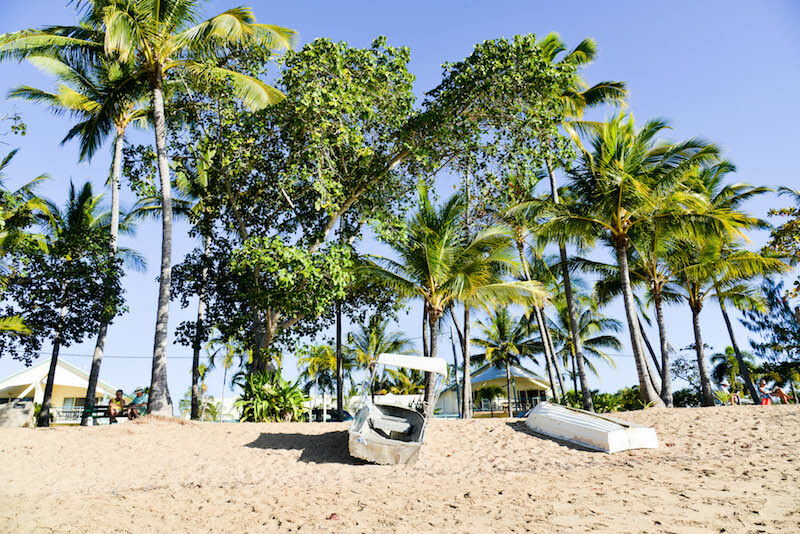 Magnetic island is a quiet island off the coast of Townsville, you can ride around in real life Barbie cars, snorkel a section of the Great Barrier Reef and walk through forestry with adorable wild koalas tucked up in the trees, ready to spot. I kid you not, all on a tiny island where you can drive from north to south in 10 minutes. 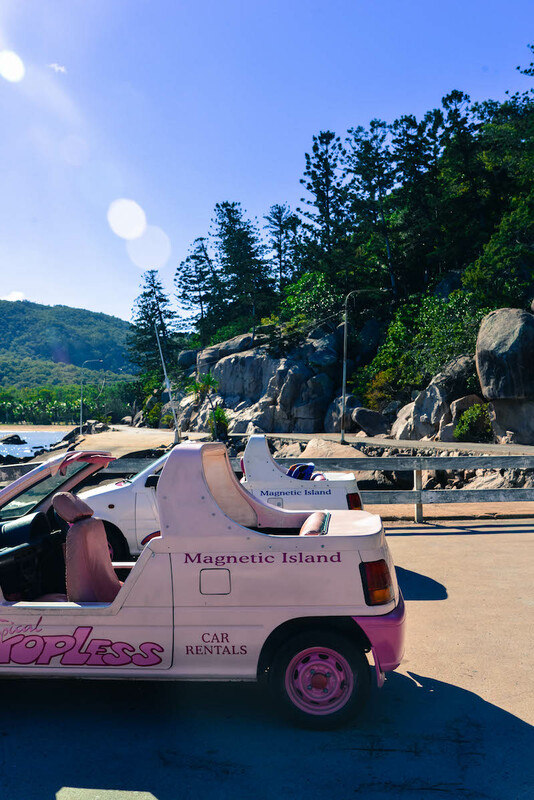 It’s a tranquil island, but we had a great time zipping around in our red Barbie car seeking out all the cute fluffiness and hidden boulder bays we could find. 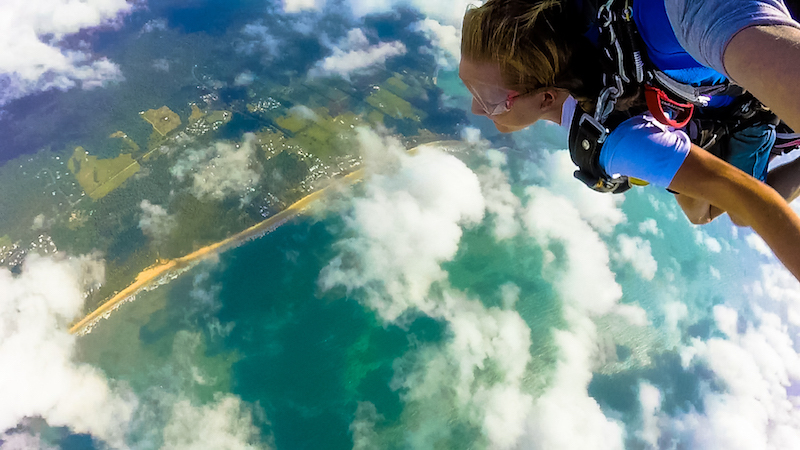 As adrenaline junkies, this is something that’s been on our bucket list for years – sky diving. 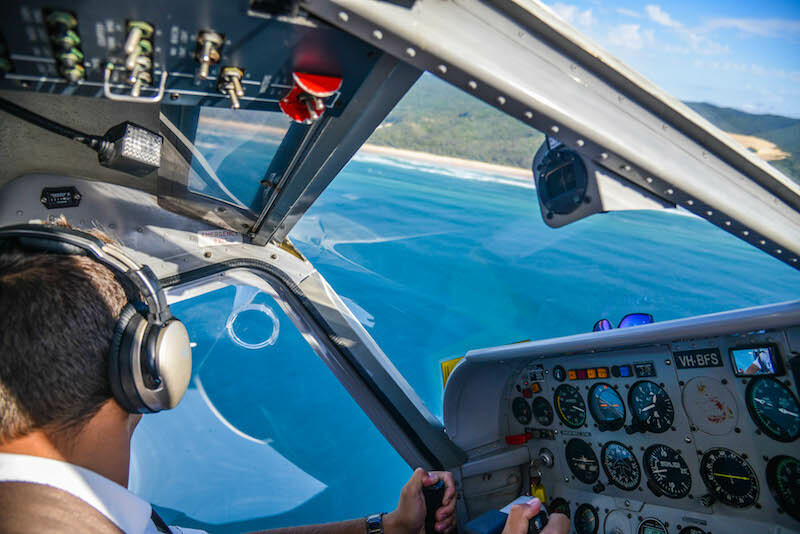 We headed north to Mission Beach solely for the purpose of throwing ourselves out of a plane at 14,000ft to land on a palm tree lined beach with views of Dunk Island and an array of blue hues in the ocean. 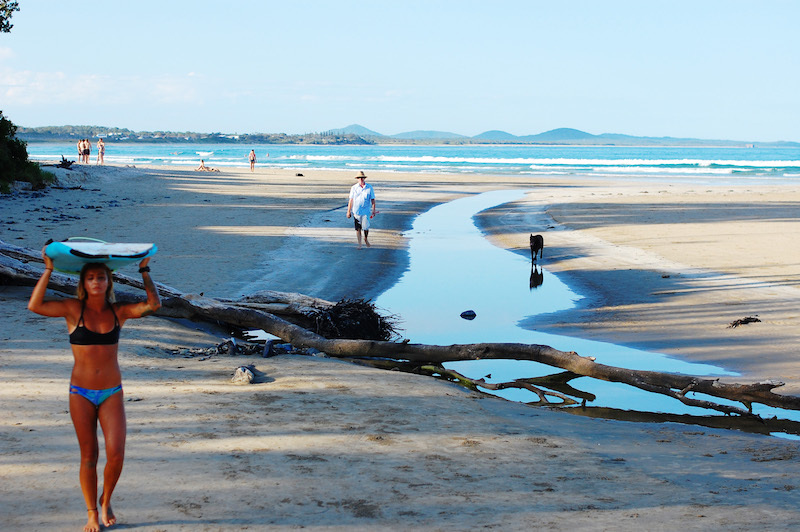 Mission Beach itself is a quiet place so only head here for a stopover or to enjoy the sites from high in the sky. 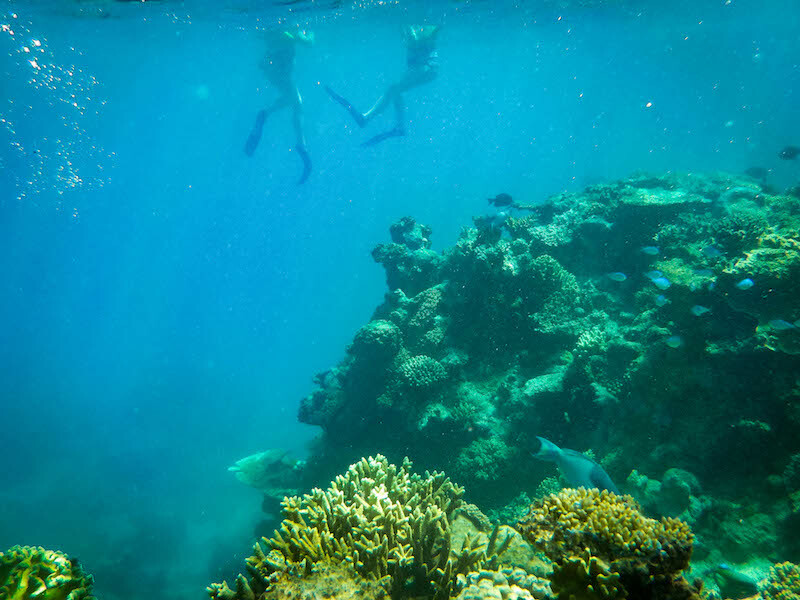 It is, as many people who have experienced it would say, an amazing feeling – a must do. 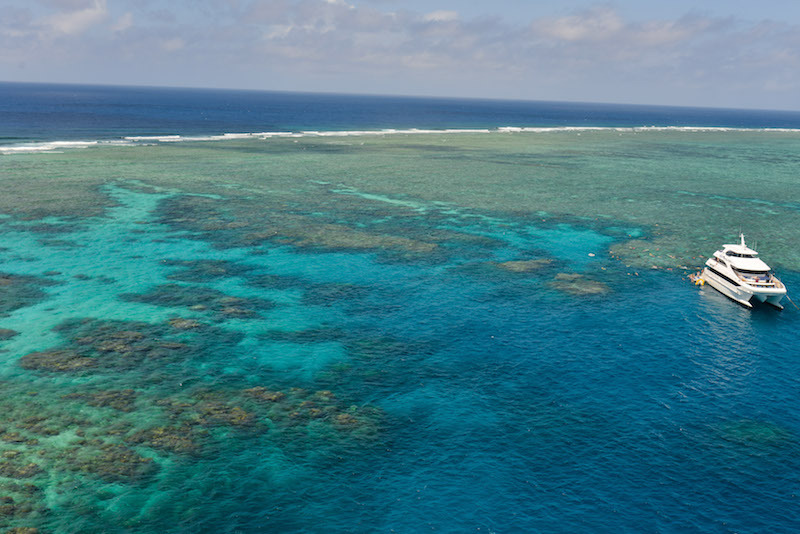 Home to one of the natural wonders of the world, The Great Barrier Reef. 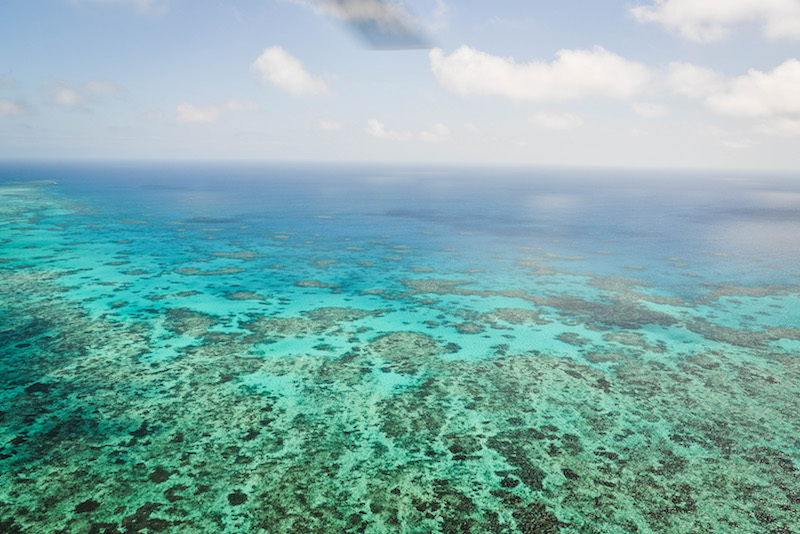 We explored this beautiful wonder in three ways – from the sky in a helicopter, deep underwater diving and across the sea in a huge yacht, it is simply spectacular. 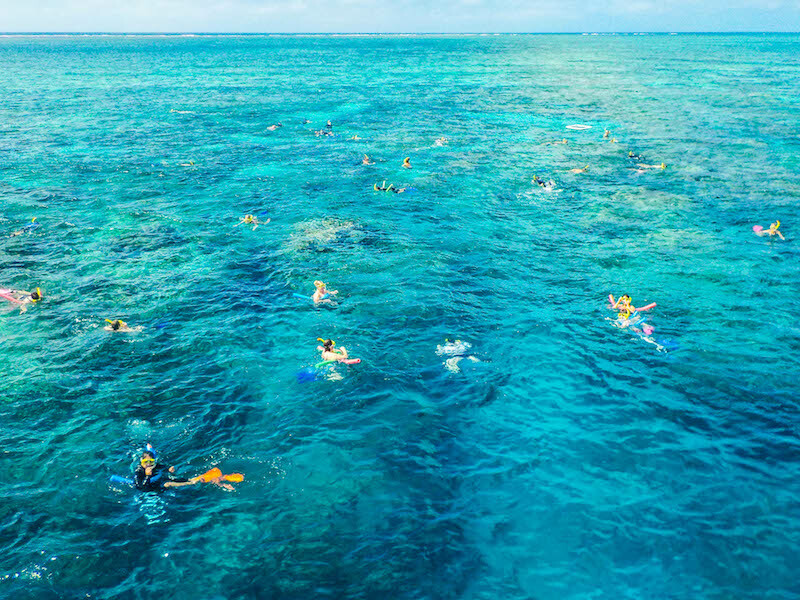 As well as being a great base to explore the Great Barrier Reef, Cairns has lots more to offer so your schedule will be packed full (as we experienced from our intensive three days of fun and exploration). 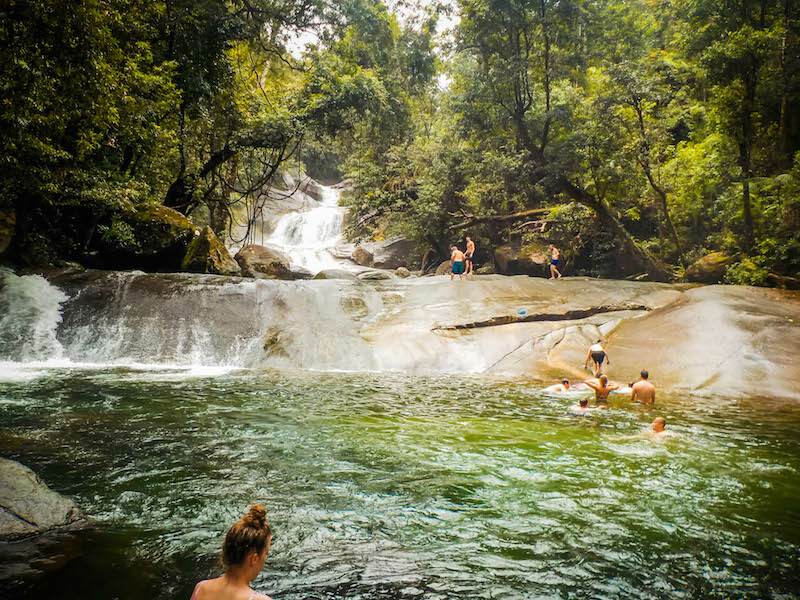 For the backpackers, Uncle Brian’s tour of the waterfalls and forests of Atherton Tableland’s Region is a fun packed day of swimming in the rivers, jumping off waterfalls and admiring the amazing rainforest and mountain landscape. 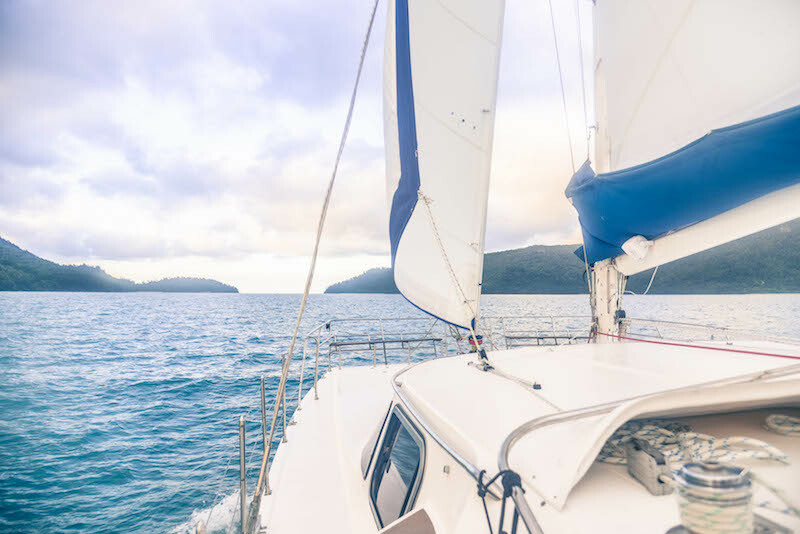 Cairns also offers great access to Port Douglas and Cape Tribulation which is home to the Daintree Rainforest, a striking rainforest with an immense amount of history. I have always wanted to visit Australia ever since I was a little girl. I would love to go and live out there for a few months. We would definitely recommend it, such a beautiful coast line, the food is delicious, the coffee is amazing and the people are just lovely. 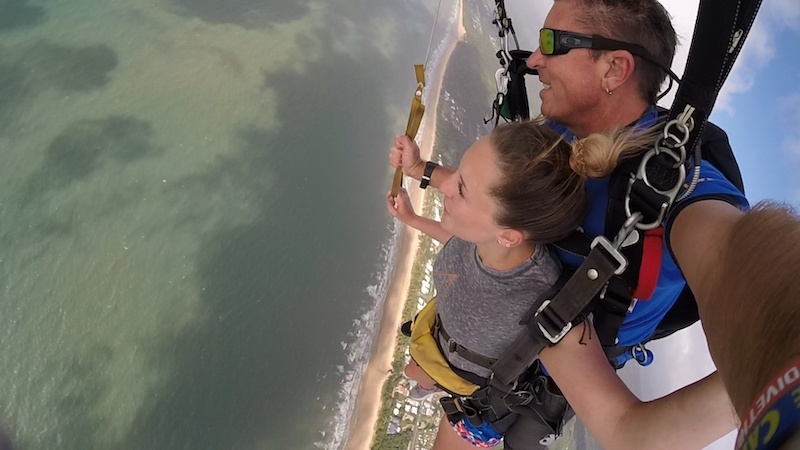 If you are considering it, we say take the leap, you wont regret it! 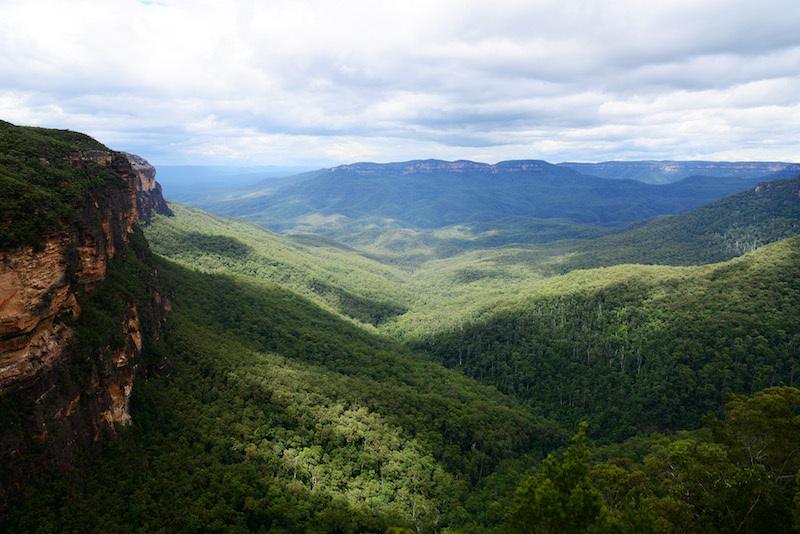 Nice overview and highlights of this part of Australia. 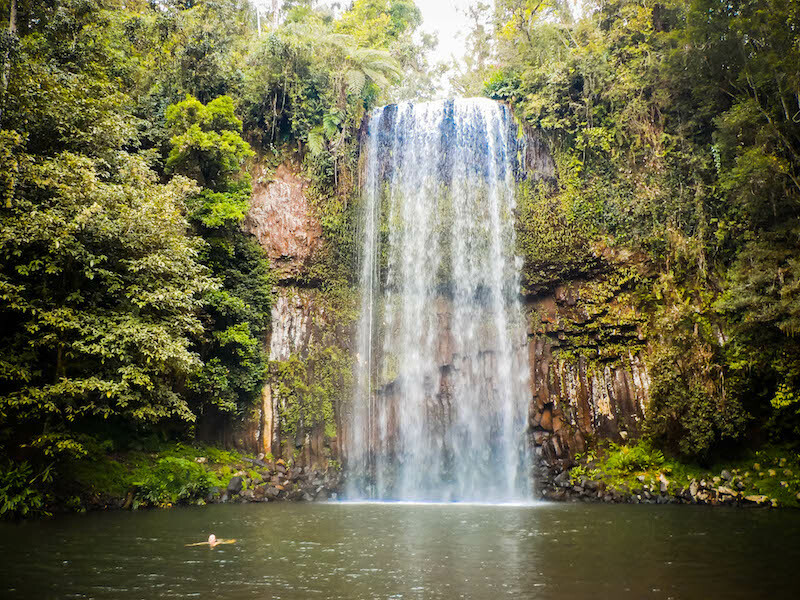 While I’ve spent extensive time in New South Wales, you have inspired me to seek out some of these destinations. Of course Sydney would also be #1 on my list! Thank you for your lovely comments. That’s great news! 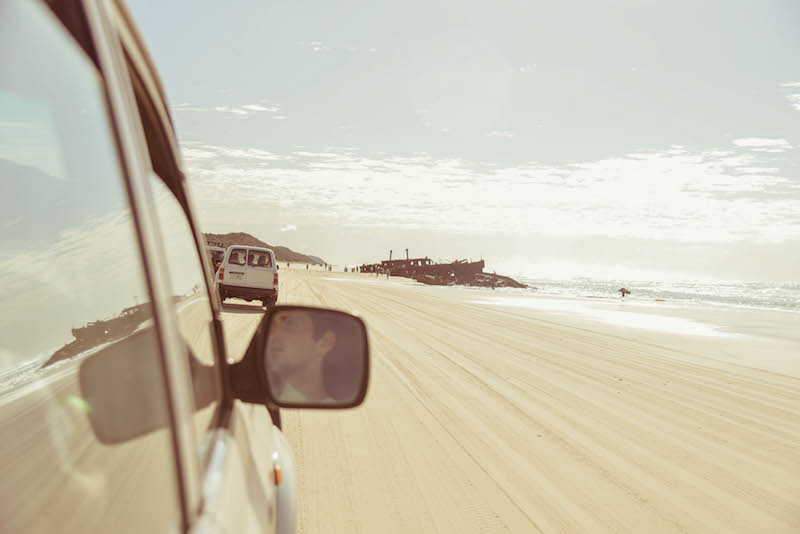 Let us know where you end up going, we loved every stop on our way, so you cant go wrong. 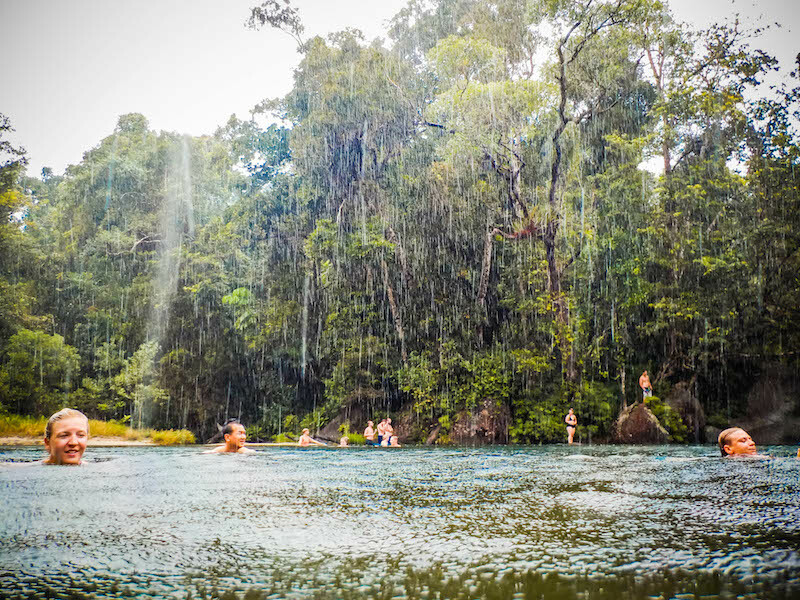 I’m curious: Do you prefer Australia to other smaller islands like Bali, etc? Thanks for your comments. 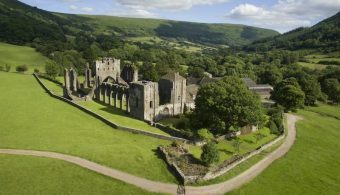 We want to be back as well, and the beautiful pictures are making us dream of when we were there. That’s a difficult question because they are so hard to compare, we love both for different reasons. 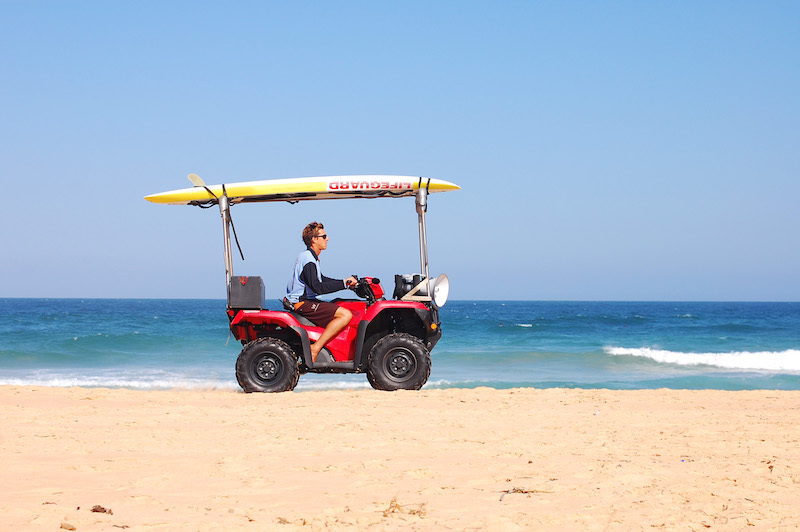 Australia has an amazing outdoor lifestyle, the sunshine and the beaches really make this place. 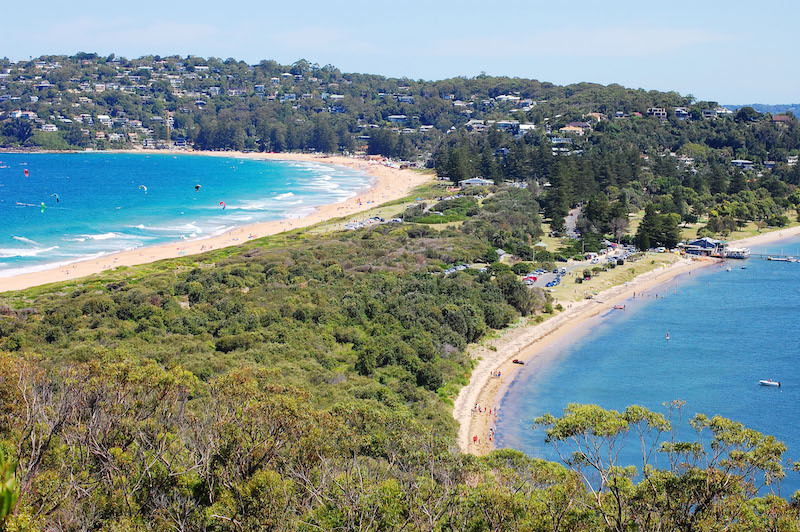 Especially Sydney, you get the best of a big city with the true beauty of coastal living. Take me back! 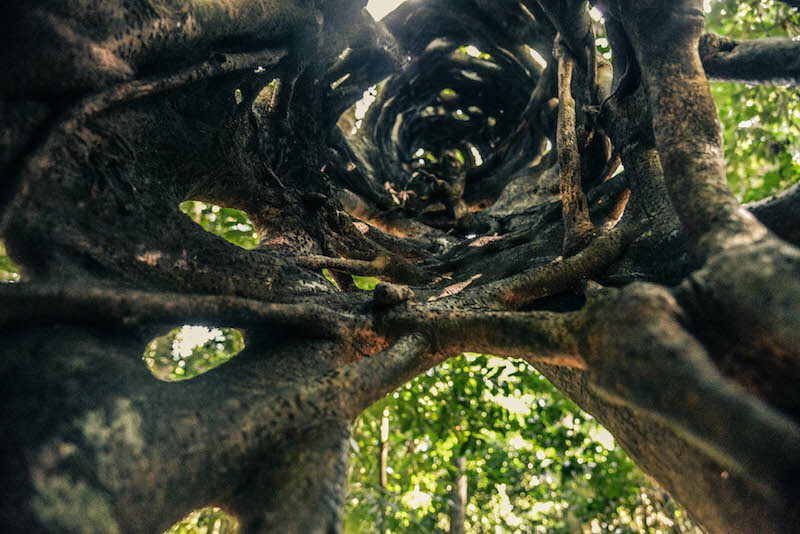 Bali was enchanting, lots of culture, history, and experiences to learn from. We took a cooking class while we were there (there is a post coming about this) which was delicious, you also get the stunning volcano walks (what an experience that was at 2 am! ), and the scenery is so different to Aus, with the rice paddies and the building with history. In summery you can’t choose, go to both! Beautiful pictures. Seem as though I would have to add Australia to my bucket list. Hi Shevy, Thank you for your lovely comment. It’s such a beautiful place it’s hard not to fall in love with it. Definitely add it to your list, make sure you go, you won’t regret it at all. I would absolutely love the full list! I live in Sydney and have my parents visiting for 3 weeks and we want to travel and see as much as possible. Any recommendations of places to visit would be amazing. We love food, adventure, walking etc! Thanks for your comment. How is Sydney? We miss it so much! It depends on how far you’d like to go to be honest. 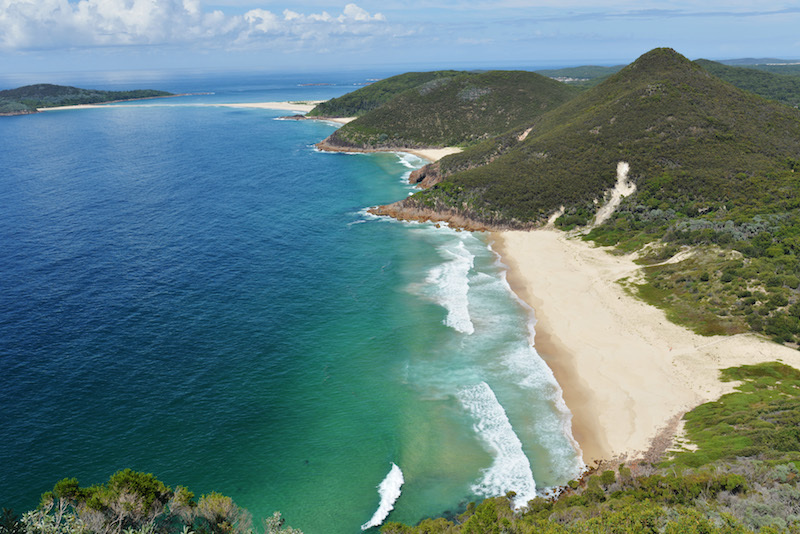 If you’re looking for an out of city escape with stunning beaches and a little town vibes, but driving distance to other places we would recommend Port Stephens. Opportunity for adventure but also to enjoy a quiet beach town, they have a couple of restaurants in the marina as well. Of course Hunter Valley is always good for wine lovers, it’s not got the beach view but the vineyards in the sun are beautiful, just stunning and what a way to spend your day. 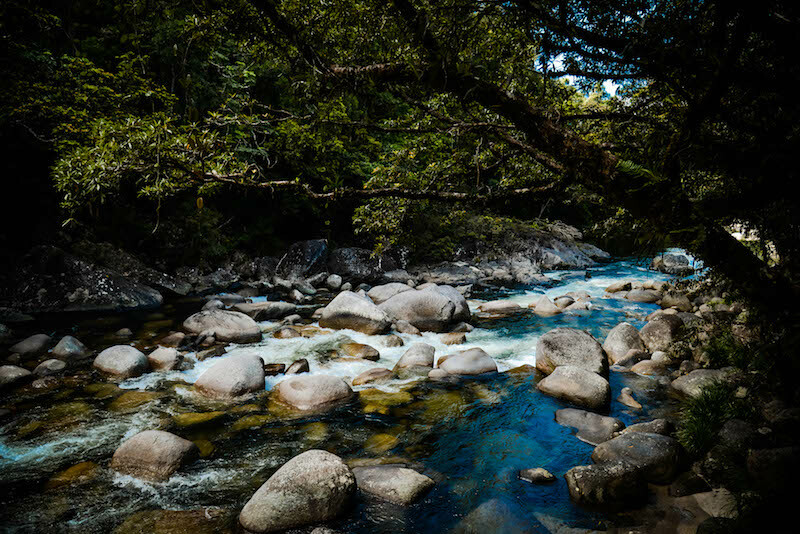 Check out Leah’s Instagram of some beautiful pictures from our trips there (www.instagram.com/leahwhitty/). 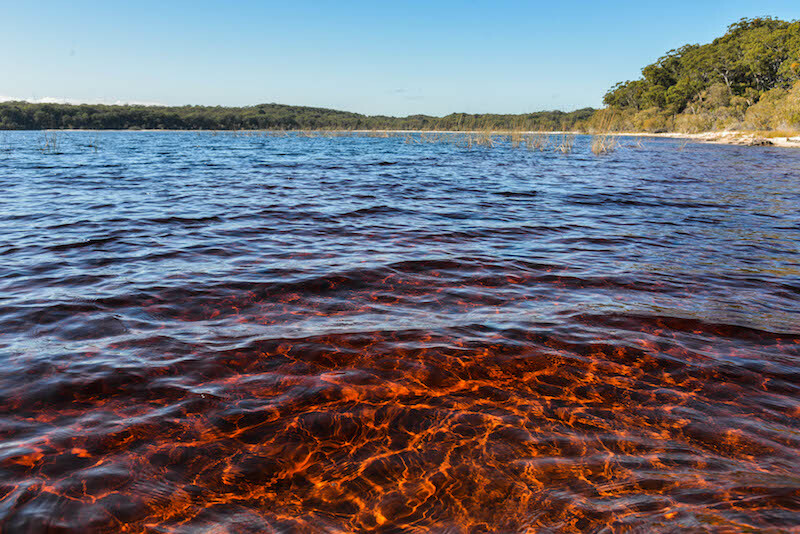 If you’re looking to go a little further out of NSW and somewhere very different, there is also McLaren Vale, another stunning wine region, it’s quiet but bursting with wine. 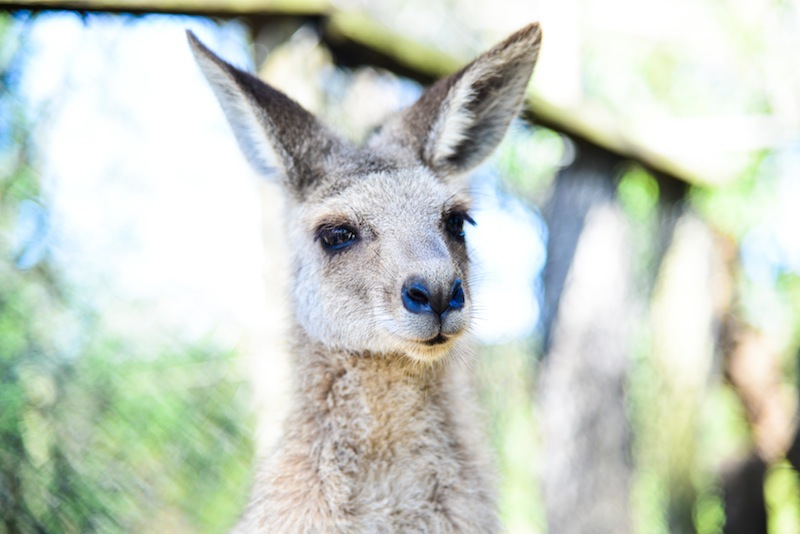 Stay in one of the vineyards for a night or two and then head to Kangaroo Island by car. 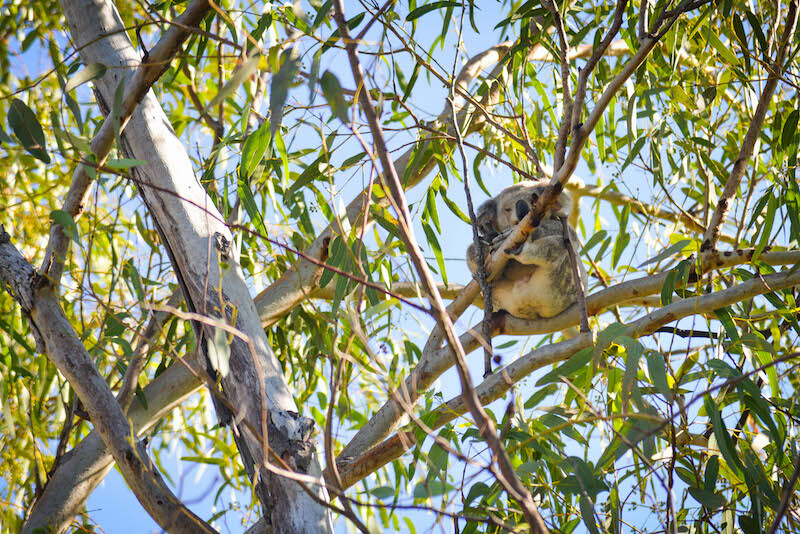 You can read about our trip to Kangaroo Island here >> https://thetravelhack.com/tag/kangaroo-island/, it’s full of nature, beautiful beaches, lots of walking opportunities and an adorable little town. 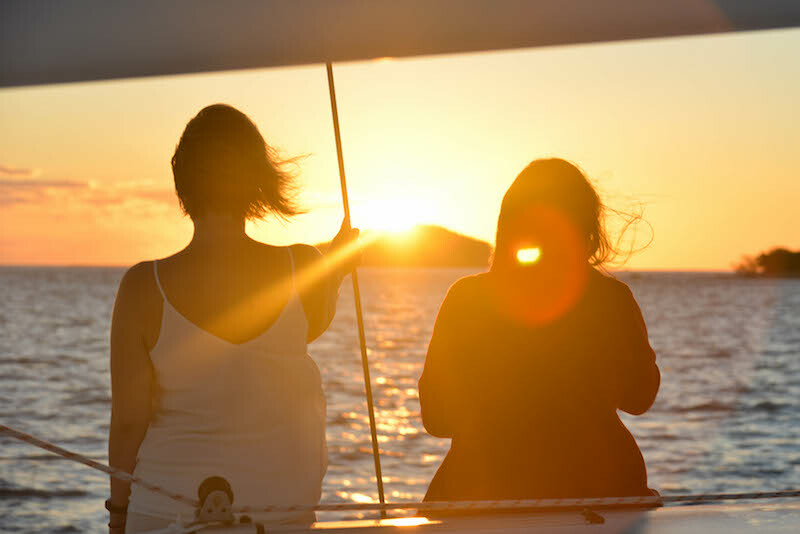 There’s a barbie on the beach with your name on it, watching the sun set over the sea, you can’t beat these experiences. 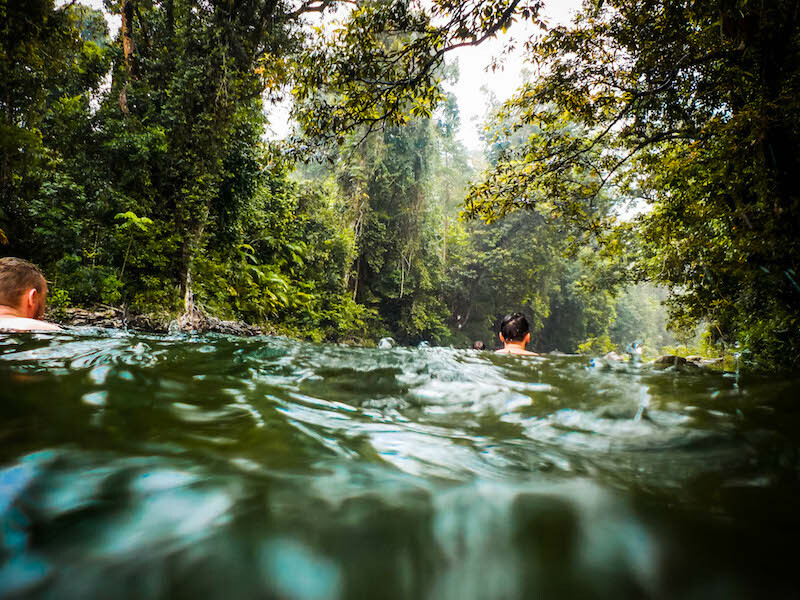 Another option is Port Douglas, Queenstown, it’s amazing. Sadly we didn’t spend much time here but it’s a beautiful beach town. 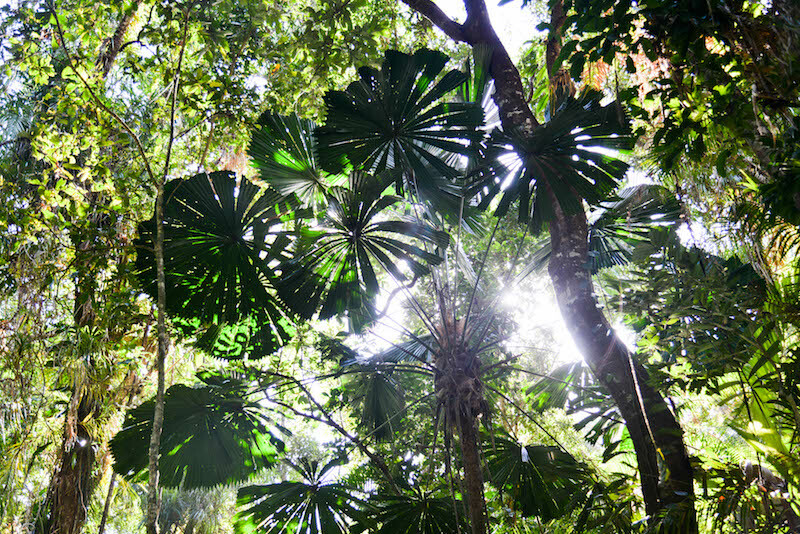 You also have the opportunity to take a trip to Cape Tribulation which isn’t to far from here, lots of walking, and a beautiful picturesque rain forest. Let us know if you have any questions about our suggestions. We hope you enjoy your time with your family. I love your article and your blog in general. I am also from London and travelling to Sydney with my boyfriend and some friends for a wedding in the Hunter Valley! We are coming over for 2 weeks, spending the first week in Sydney for a few days and then the wedding and then unsure what to do for the second week! 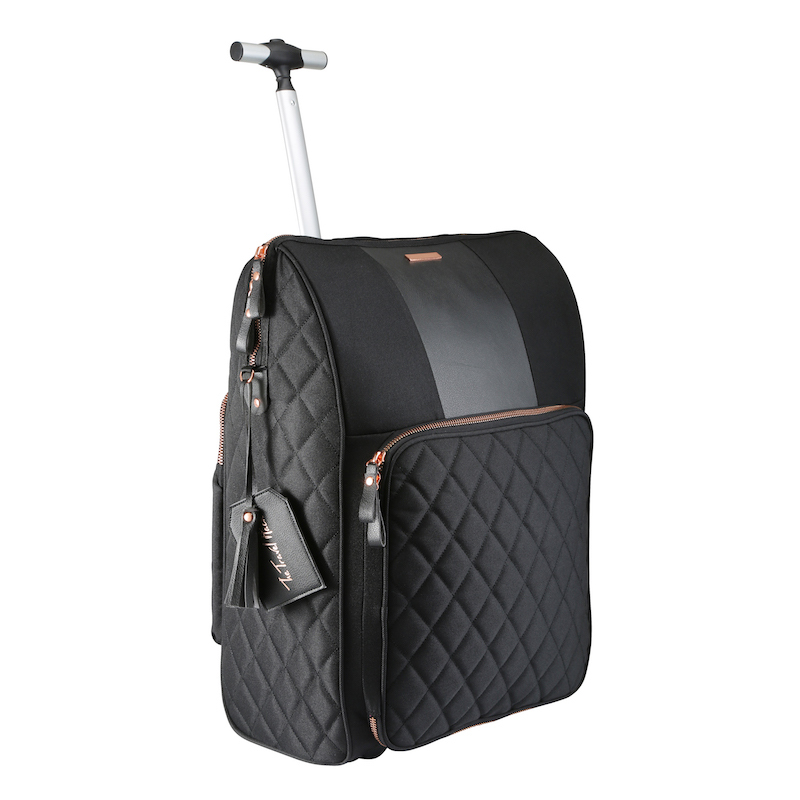 I am excited for an adventure, do you recommend anything in particular that I can pack into a week and let me know any must-do’s in and around the Sydney area!